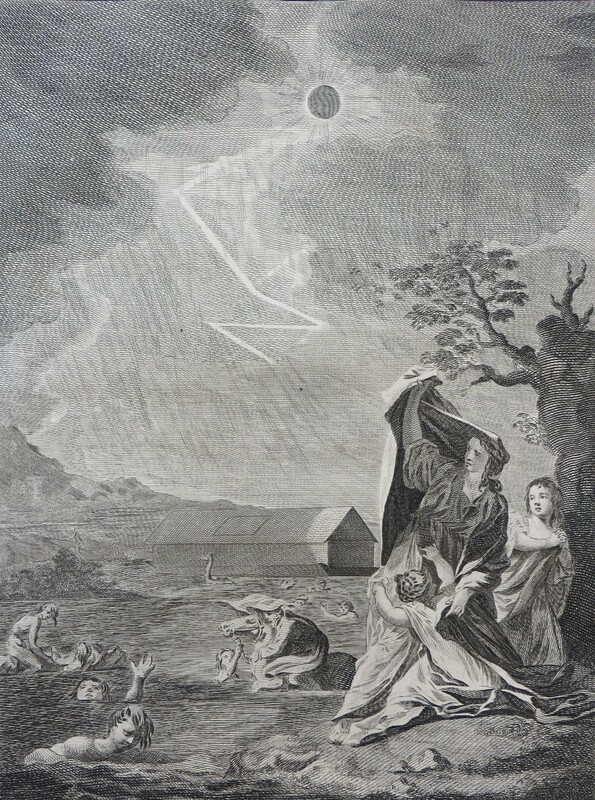 These fascinating illustrations come from A new history of the Holy Bible, written by Thomas Stackhouse and first published in 1733. 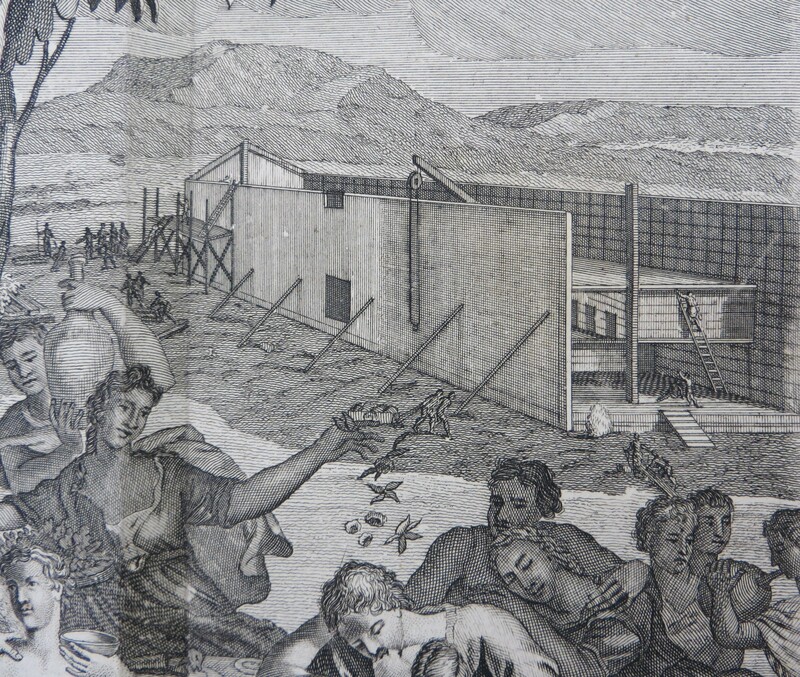 We hold several editions of this work in the Cardiff Rare Books Collection, each containing different engravings depicting the design and construction of Noah’s ark as described in the Old Testament. The book of Genesis tells how God decided to undo his creation of the Earth by sending a flood to wash away the wickedness of man. Noah was instructed by God to build an ark, a large waterproof vessel that would save Noah, his family and a sample of the world’s animals from the coming storm that would soon cleanse the Earth. 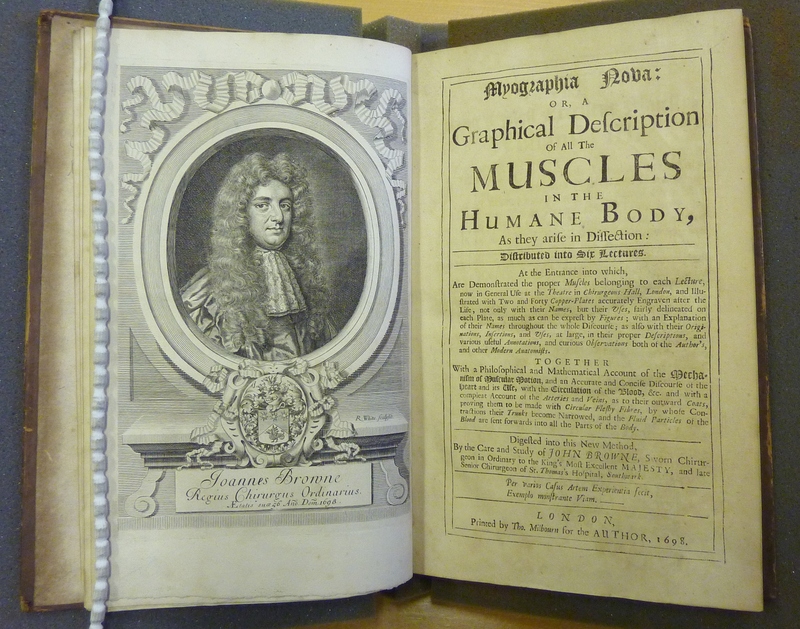 The rectangular, box-shaped design is apparent here in the first edition of 1733, but the many (impractical?) windows allow us to view the animals on the decks. 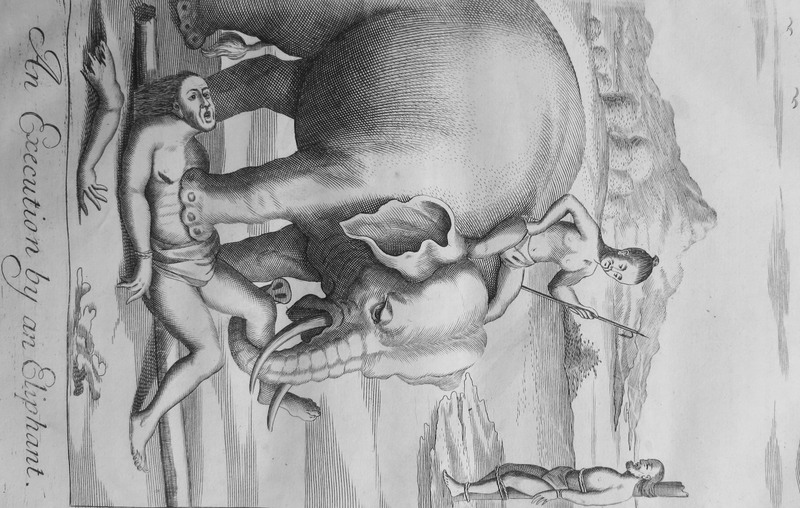 In his text, even Stackhouse refers to this depiction as “pure imagination”. In Genesis 6:14-6:16, God gives Noah detailed directions for the construction of the vessel: “Make for yourself an ark of gopher wood; you shall make the ark with rooms, and shall cover it inside and out with pitch. This is how you shall make it: the length of the ark 300 hundred cubits, its breadth 50 cubits, and its height 30 cubits. 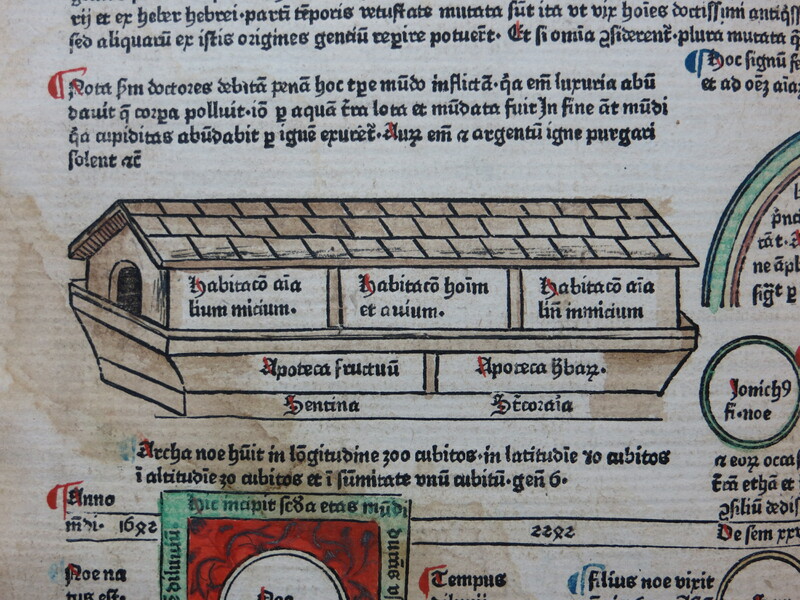 You shall make a window for the ark, and finish it to a cubit from the top; and set the door of the ark in the side of it; you shall make it with lower, second, and third decks …” The length of a cubit has varied over time but Stackhouse calculated the measurements to correspond roughly to a vessel 450 feet long, 75 feet wide and 45 feet high, which, as Stackhouse readily admits, would make the ark of Noah larger than any wooden vessel ever built. Stackhouse and his illustrators depict the ark as having a rectangular box-like design, very different to the traditional sea-going ship with curved keel, bow and rounded hull (the Hebrew word for the ark, “tebah”, actually means box or container, as in the Ark of the Covenant). In Stackhouse’s words, Noah was commanded to “build a kind of vessel, not in the form of ships now in use, but rather inclining to the fashion of a large chest or ark”. As this ark was “intended only for a kind of float, to swim above the water, the flatness of it’s bottom did render it more capacious”. 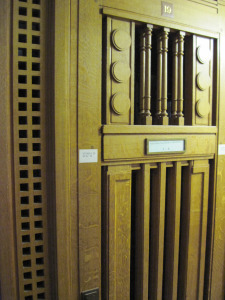 It was, Stackhouse argues, designed for protection and not for navigation. Surprisingly, the box-shaped ark has resurfaced once again in 2014. Despite the apparent unseaworthiness of the design, film director Darren Aronofsky chose to depict an ark very similar to Stackhouse’s ‘floating container’ for his retelling of the flood narrative, Noah, starring Russell Crowe as the titular prophet. 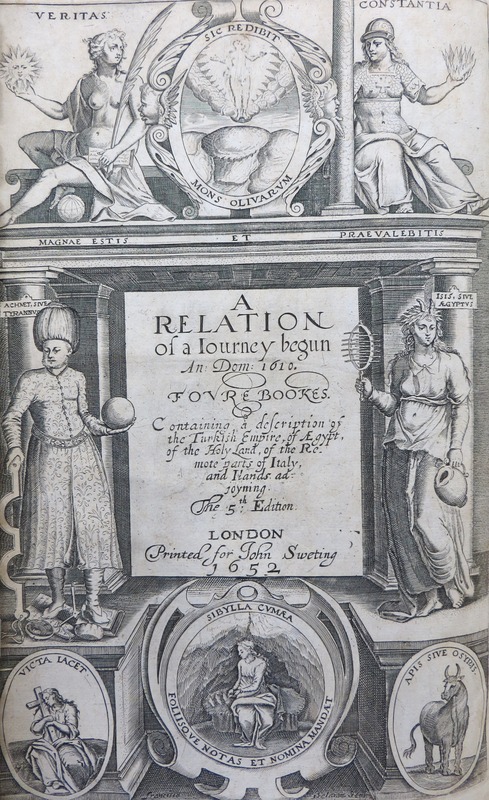 George Sandys’ Relation of a journey begun an. Dom. 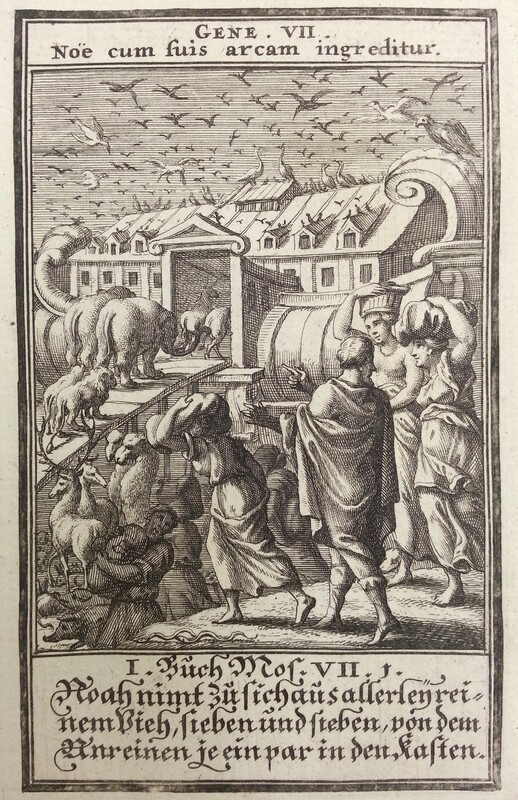 1610, more commonly known as Sandys’ Travels, relates the author’s wanderings through Europe and the Middle East. 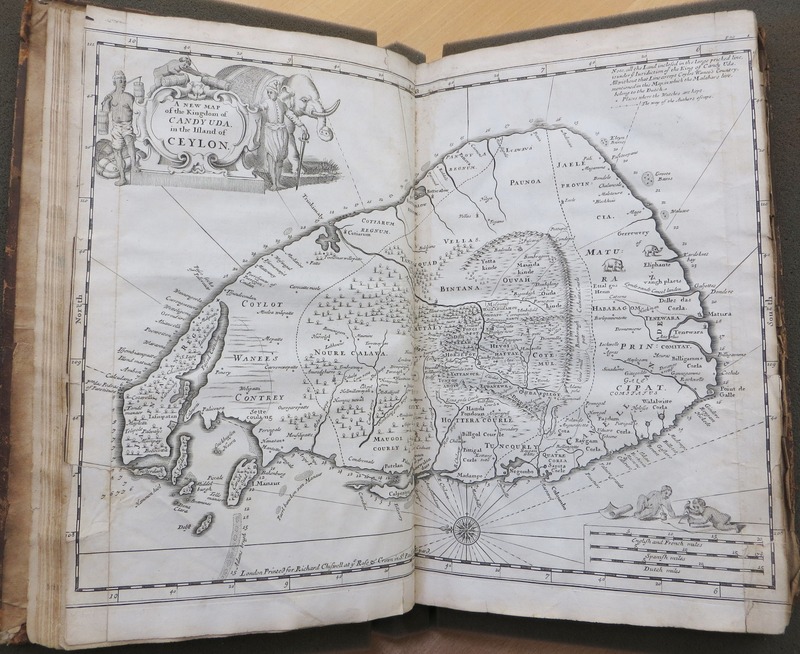 Setting off in May 1610, Sandys spent several years touring extensively through France, Italy, Turkey, Egypt, Cyprus and Palestine. 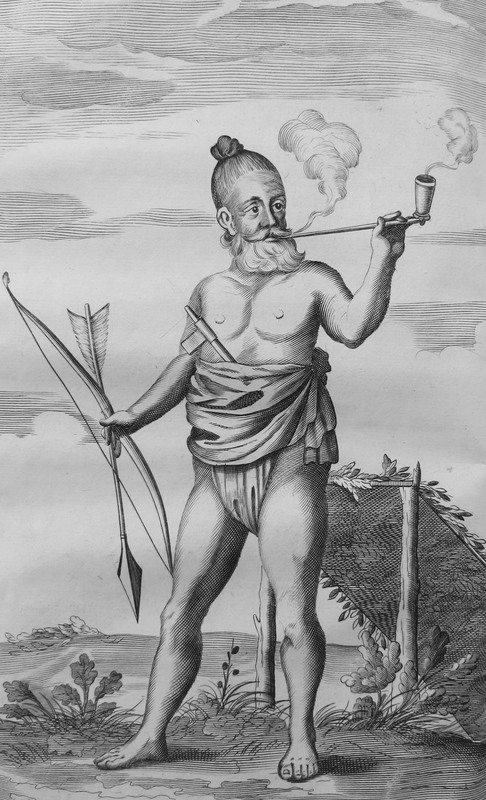 His narrative of the journey was published in 1615 and was an influential work on geography and ethnology. 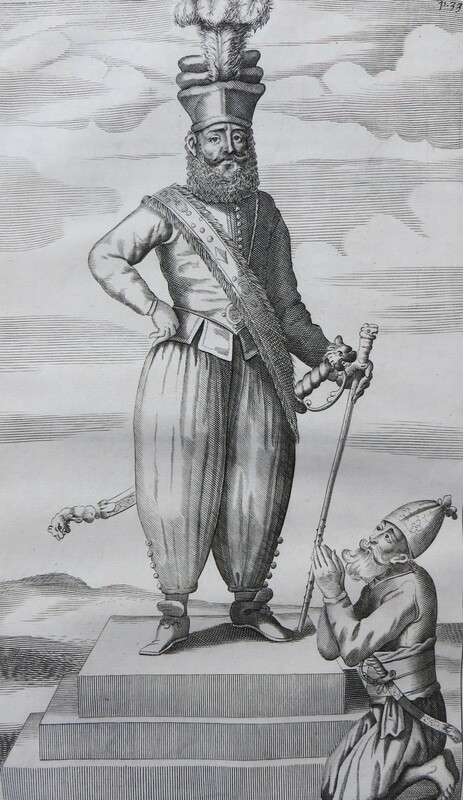 Sandys was eventually appointed colonial treasurer of the Virginia Company and sailed for the New World in April 1621. 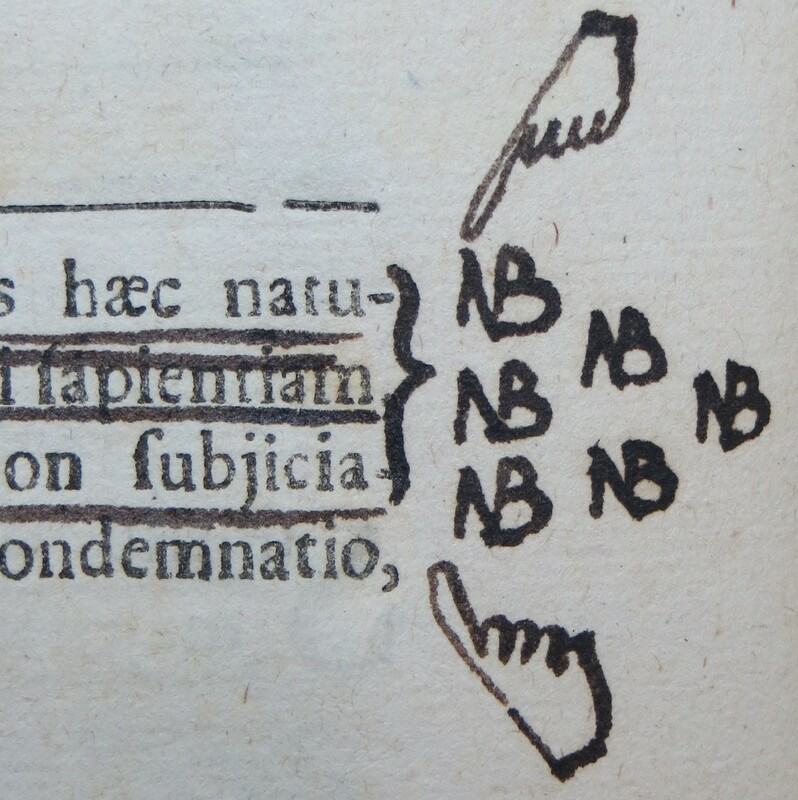 Like Sandys himself, our copy of the 1658 edition of his book has travelled far in its lifetime with several of the book’s previous owners leaving their mark in some way. An inscription on the front free endpaper reads, “Tho Sergeant. 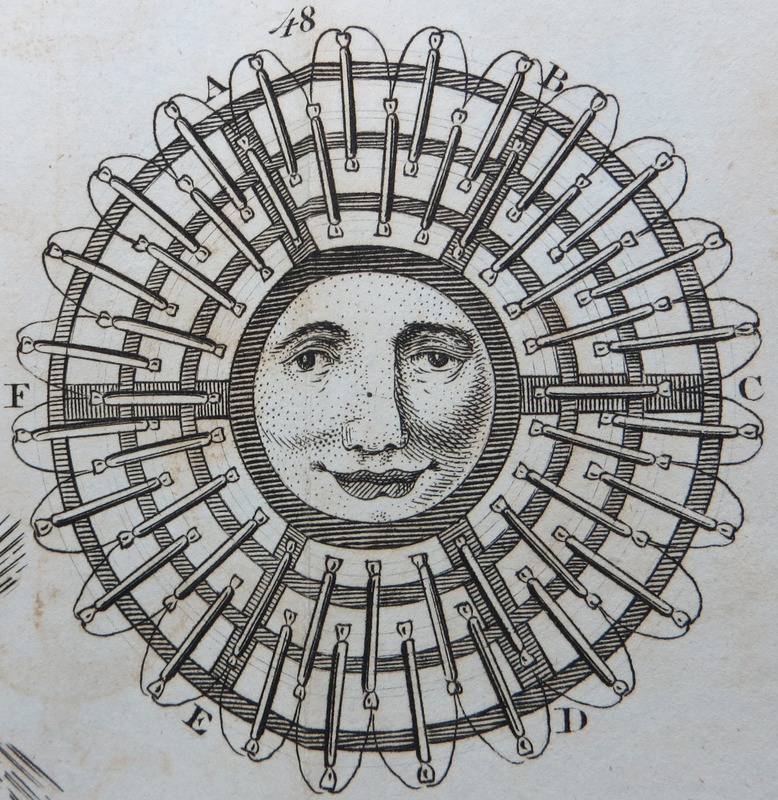 1708. 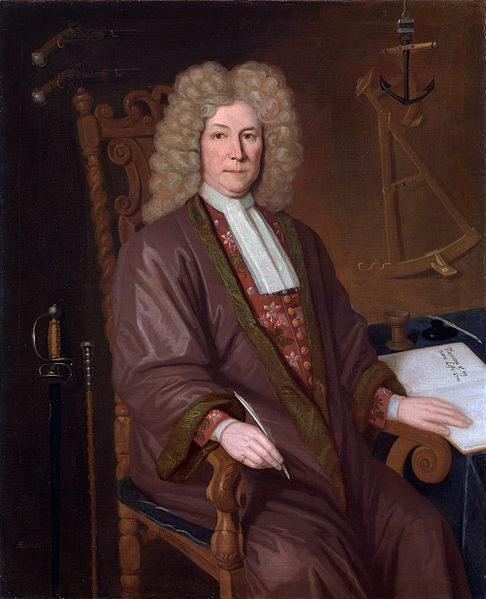 The gift of Joseph Moyle Esqr.” Some research revealed that Joseph Moyle was brother to the English politician, Walter Moyle, who was born in Cornwall in 1672, studied at Oxford and was admitted to Middle Temple in 1691. While a Member of Parliament for Saltash in Cornwall, he also wrote several essays on the forms and laws of government. 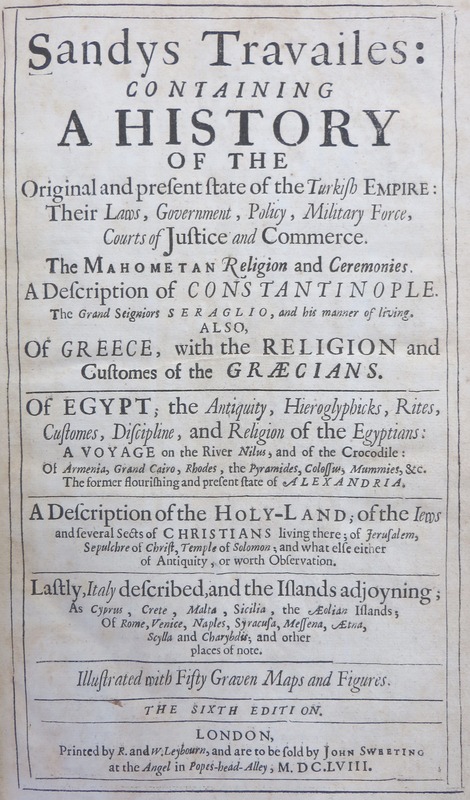 After Walter’s death in 1721, his brother Joseph arranged for his works to be published and he selected Thomas Sergeant to be the editor. 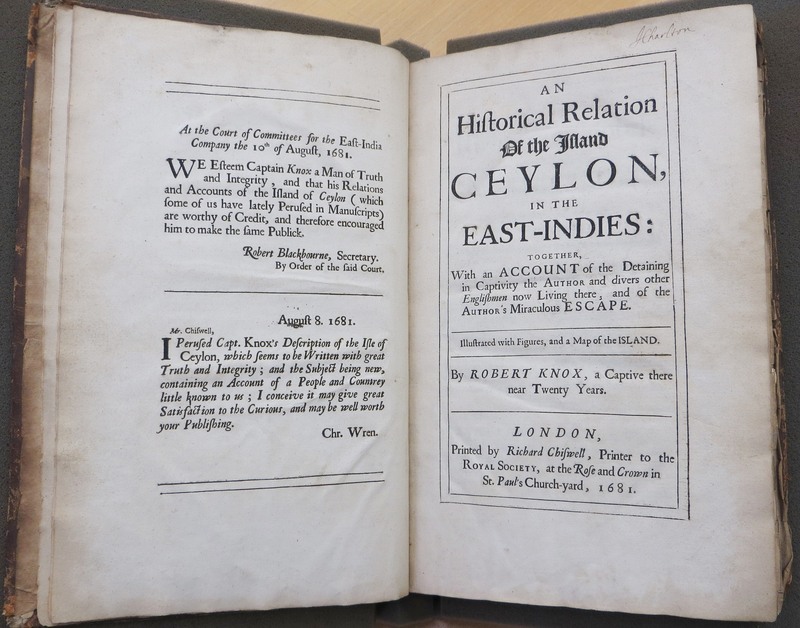 As our copy of the Travels was a gift from Joseph Moyle to Sergeant in 1708, they had apparently known each other for a long time. 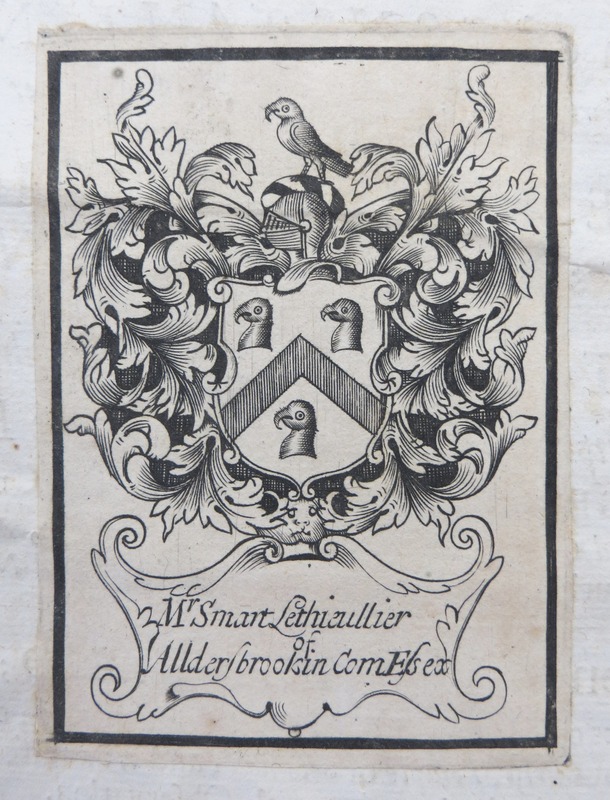 Further evidence of previous ownership can be found pasted onto the rear of the title page: an engraved bookplate of an unusual coat of arms with the caption, “Mr. Smart Lethieullier of Alldersbrook in Com Essex”. Smart Lethieullier (1701-1760) was the son of Sir John Lethieullier, Sheriff of London, and himself rose to the office of High Sheriff of Essex from 1758. He was educated at Eton and Trinity College, Oxford, and developed a lifelong passion for antiquities and fossils. 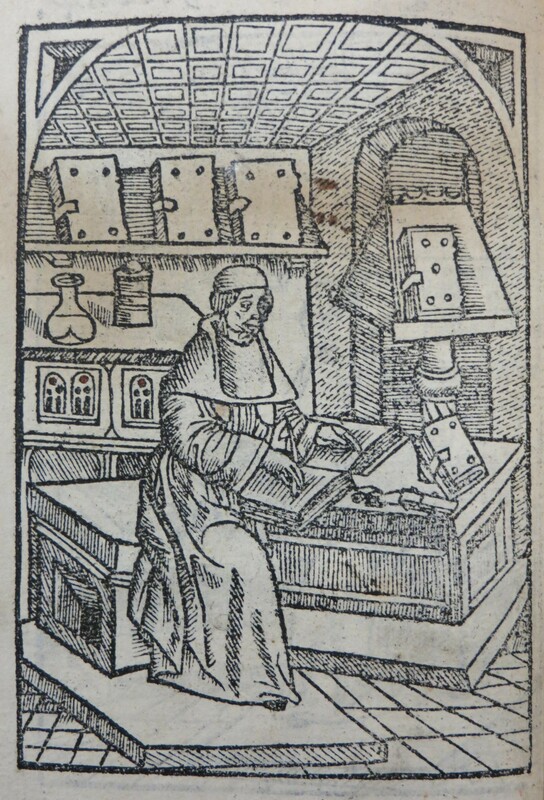 Lethieullier wrote numerous papers on antiquarian topics, including the first English account of the Bayeux Tapestry, and, like Sandys, travelled widely throughout Europe. 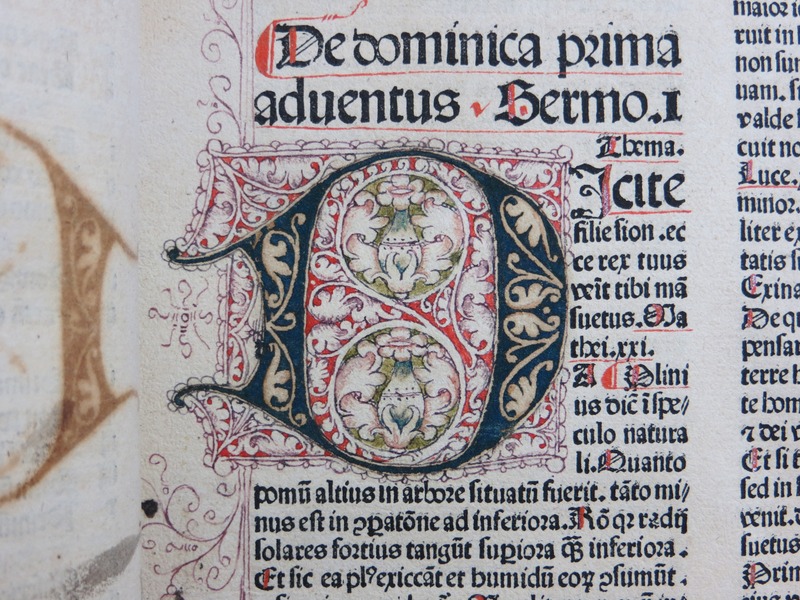 Yet another interesting inscription can be found on the book’s front pastedown which reads, “C. E. Norton. Bought at auction for my father, perhaps in 1847-8”. 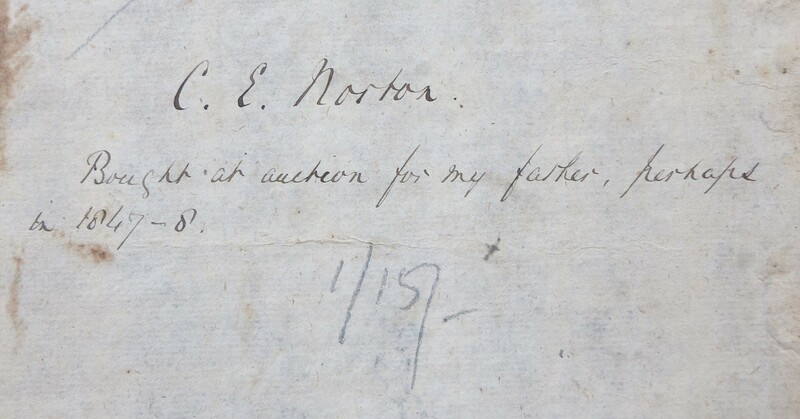 Some research of the web led me very quickly to an identical autograph of one Charles Eliot Norton (1827-1908), professor of the history of art at Harvard University and a leading American writer and social reformer. 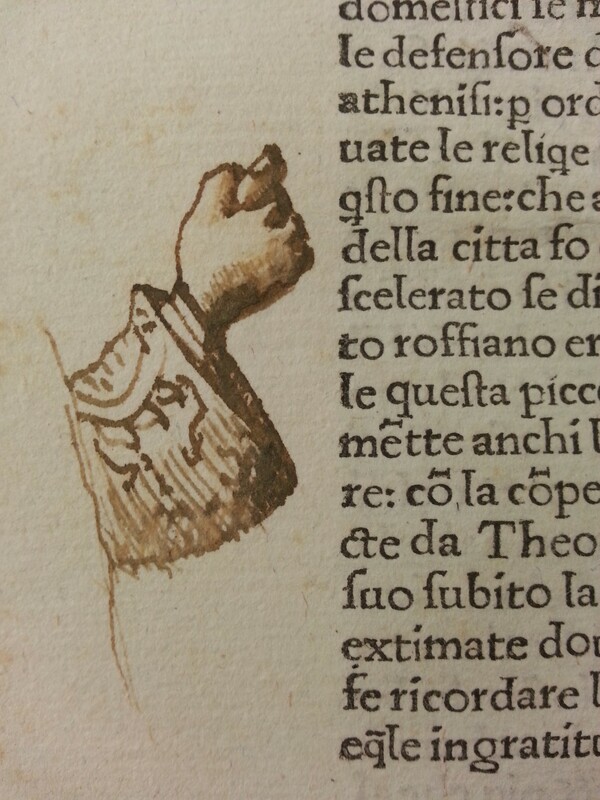 So our book, like its author, had also found its way to the New World. Between 1864 and 1868 Norton was editor of the first literary magazine in the United States, the North American Review, alongside his friend, the Romantic poet James Russell Lowell. 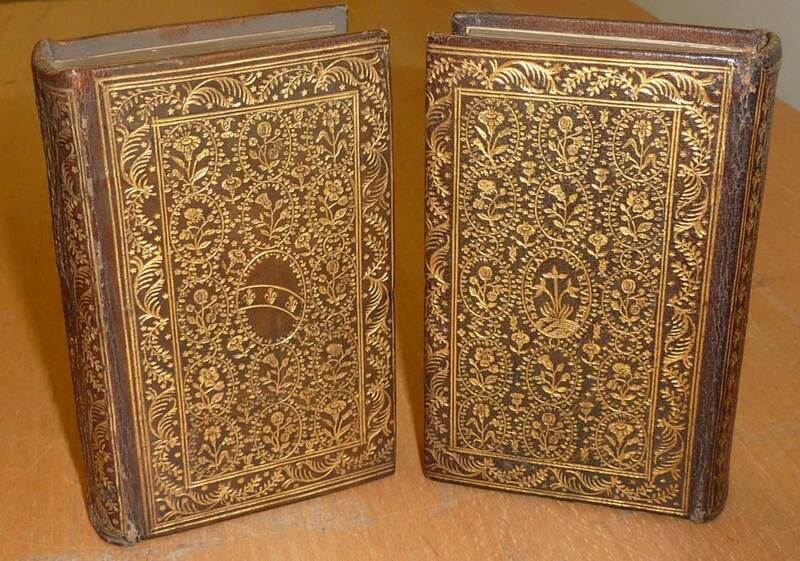 In 1861 Norton and Lowell had assisted Henry Wadsworth Longfellow with his translation of Dante and together they had founded the Dante Club. Norton’s father, Andrews Norton (1786-1853), was professor of sacred literature at Harvard. A renowned preacher and theologian, he was instrumental in bringing liberal Unitarianism to New England. In addition to his duties as a lecturer, Andrews Norton also acted as librarian of Harvard College from 1813-1821. There is no evidence in the book to reveal how it made its way back across the Atlantic from the United States to Wales. 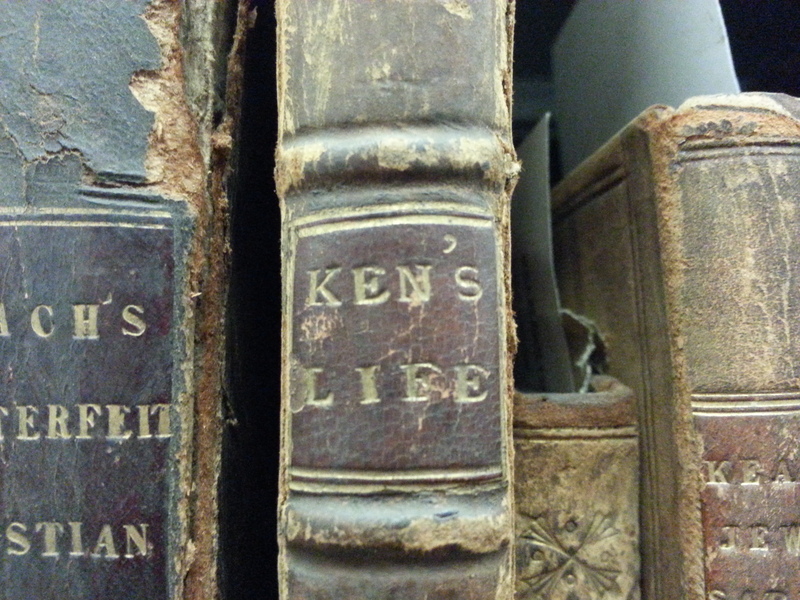 Cardiff Public Libraries were certainly purchasing many books at auction in the early 1900s in the hope of becoming the Welsh national library, and it is possible that the book was bought at a sale after C. E. Norton’s death in 1908. However it returned to these shores, our copy of the Travels clearly lives up to its name. 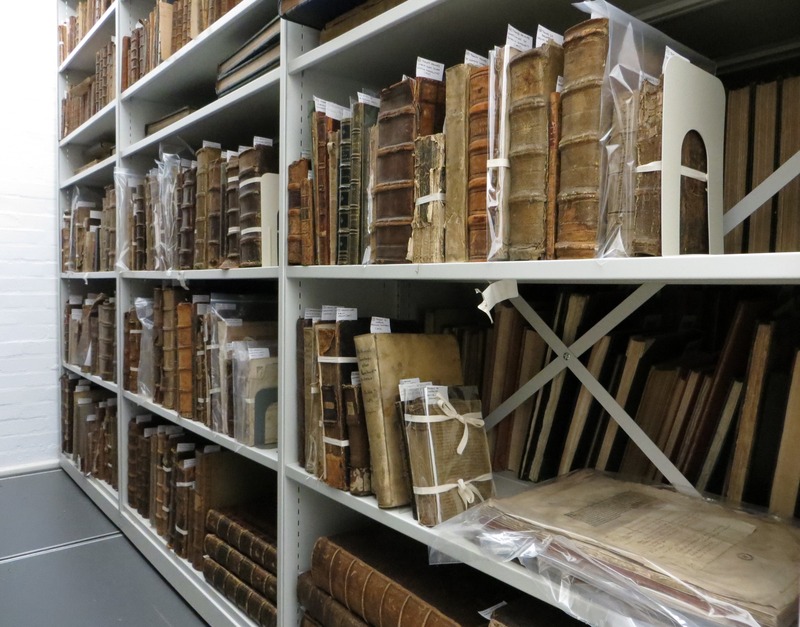 Our Cataloguing team, who are all helping with the Cardiff Rare Books Collection, enjoyed a research trip up to the National Library of Wales in Aberystwyth. 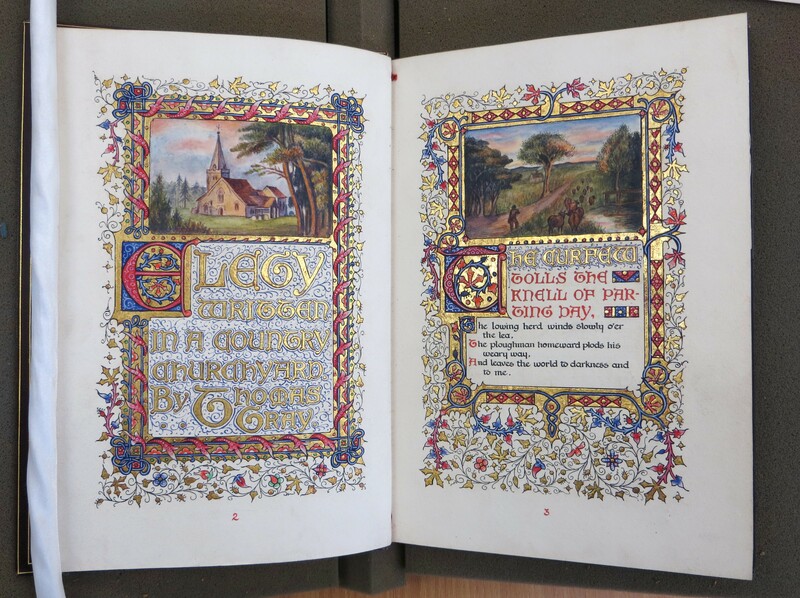 On Tuesday 18 th March staff at the National Library of Wales welcomed a group of 15 cataloguers, from around Wales, on a visit co-ordinated by the Cataloguers in Wales group. Cataloguing staff at NLW had arranged a day of presentations to inform us about a variety of practices at the National Library, and we were treated to a fascinating visit with a quick tour behind scenes as well. We were welcomed by Kathy Murphy (Head of Systems and Mixed Media Workflow) who gave us an overview of cataloguing practices at NLW, and a brief history of how the current workflows had come about. 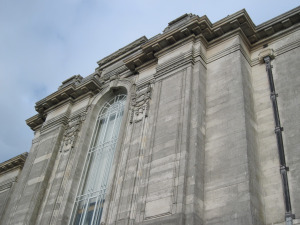 They had moved from a system where everything was split by material, with separate acquisitions and cataloguing teams, and systems for each type, to a more functional single department and LMS. 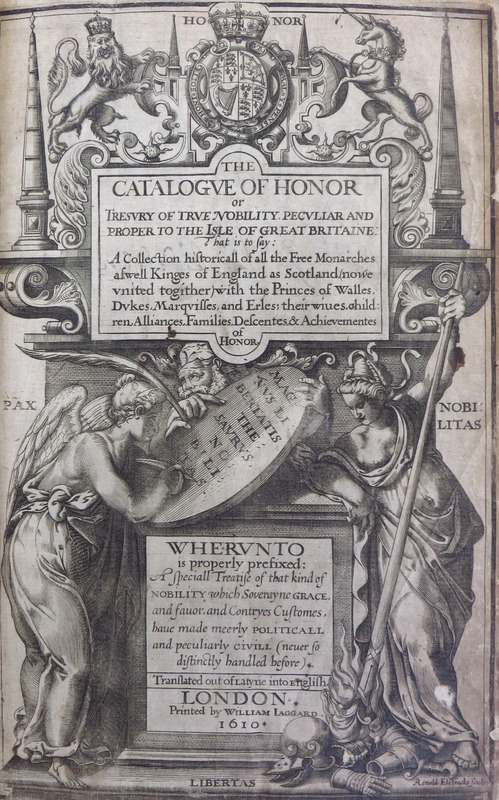 The catalogue of honor, compiled by Thomas Milles and published in 1610, records the names, titles, arms and descendants of the nobility of Great Britain. 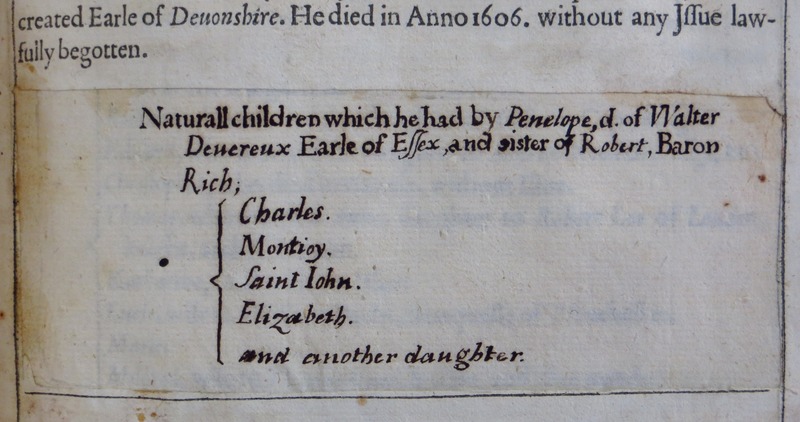 The entry for Charles Blount, 1st Earl of Devonshire, states simply that he “died in 1606. without any issue lawfully begotten”, however in Cardiff’s copy a section of the page has been excised and later replaced with a handwritten list recording “Natural children which he had by Penelope”. Investigating this intriguing addition revealed a scandalous tale of adultery and forbidden love in the Elizabethan court. Penelope Devereux (1564-1607), sister to the Earl of Essex, was considered one of the true beauties of the age, inspiring the work of poets, musicians and authors. She was Philip Sidney’s muse, thought to be the inspiration for Stella in his sonnet sequence Astrophel and Stella, and had numerous other poems and sonnets dedicated to her. Even now Penelope continues to inspire the arts with her complicated love-life playing a role in Benjamin Britten’s 1953 opera, Gloriana. In 1581 Penelope was wed to Robert Rich, 3rd Baron Rich, apparently very much against her will. Although they had six children together, the arranged marriage was never a happy one and Penelope soon began a secret romance with Charles Blount, Baron Mountjoy, who would later be created Earl of Devonshire. By 1601, Baron Rich had had enough of Penelope’s adultery and threw her out along with the illegitimate children she’d borne with her lover. Penelope moved in with Blount and their relationship became public. In 1605, Rich sued his wife for divorce, which was granted, but Penelope’s requests to remarry were denied by the Church. In defiance of canon law, Charles and Penelope chose to get married anyway and were wed in an unlicensed ceremony in December 1605, offending the social mores of the aristocracy and leading to the disgrace of both parties and banishment from the court of King James. The couple continued to live together as husband and wife until Blount’s death just a few months later. 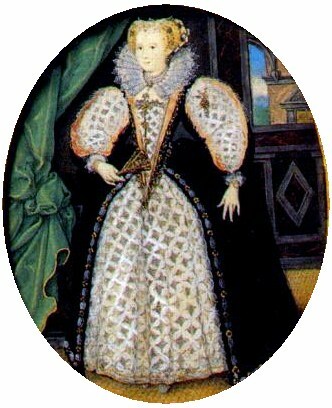 Penelope Devereux died on 7 July 1607. 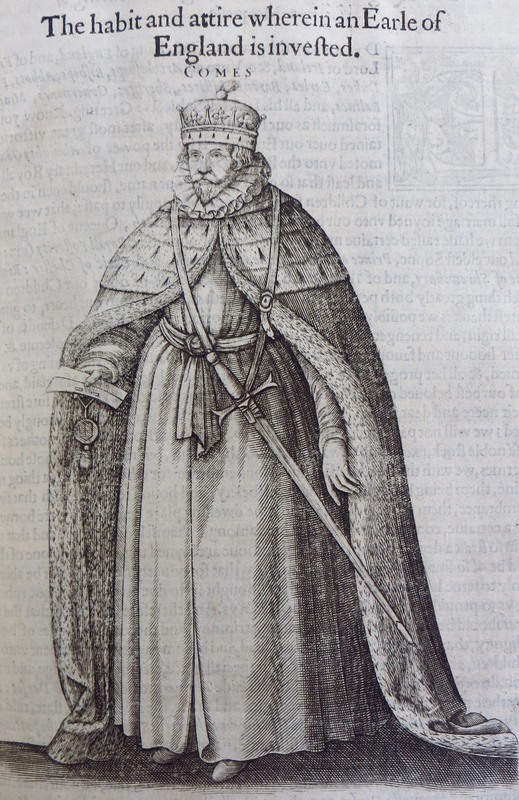 The English Short Title Catalogue (ESTC) states that copies of The catalogue of honor are, like Cardiff’s copy, frequently found mutilated to remove the section referring to Charles Blount’s progeny. When Blount married Penelope he acknowledged their five children together, allowing them to inherit his titles as legitimate heirs and to take their rightful place in The catalogue, but this was perhaps not enough to lift the shame and appease the nobility. 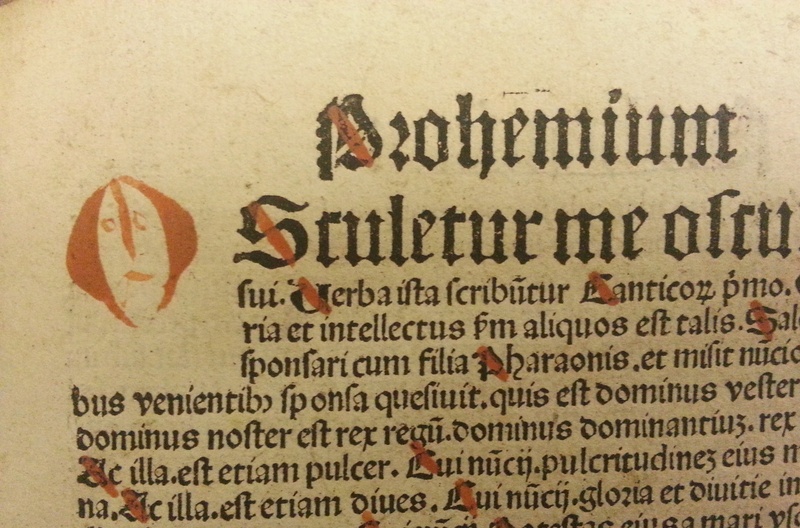 Adam G. Hooks at the University of Iowa examined several copies of the book and concluded that removal of the section was likely done by the printer himself, William Jaggard, to avoid further offense to the aristocracy and his readers (Blount’s shield has also been altered or printed blank to suggest he had no descendants). However, readers were apparently not as sensitive as Jaggard believed and a previous owner of our copy of The catalogue of honor simply rewrote the entry and repaired the scandal. 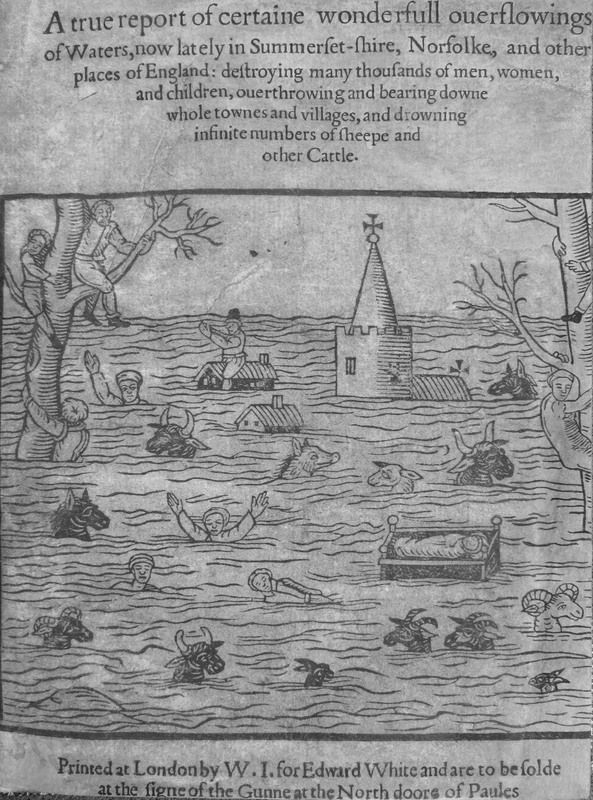 With so much of the country finding itself suddenly underwater earlier this month, it is no surprise that I couldn’t resist having a closer look at a book called “Of floods in England – 1607” when I noticed it in the stacks. 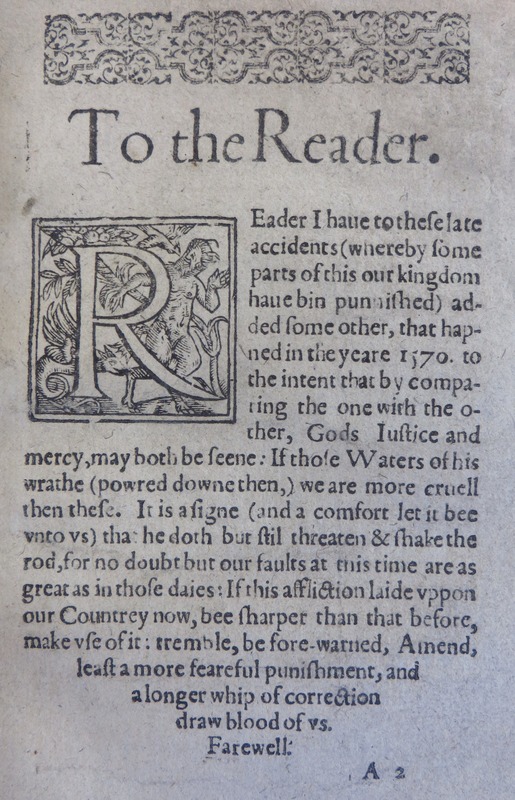 This little pamphlet, printed in London in 1607, commemorates the terrible events of 30 January the same year, when the Bristol Channel overflowed to truly devastating effect. Entire villages were reportedly swept away, hundreds of miles of farmland and whole herds of livestock were destroyed, and more than 2,000 lives were lost. 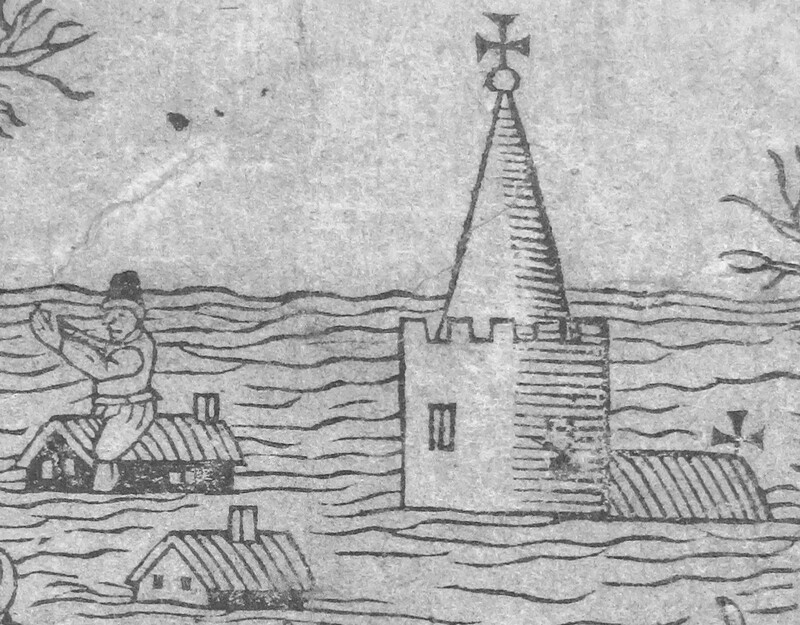 Here in Cardiff, not much more than a fishing village in 1607, the wave reached up to four miles inland and washed away all before it, including the foundations of the parish church on St. Mary’s Street. 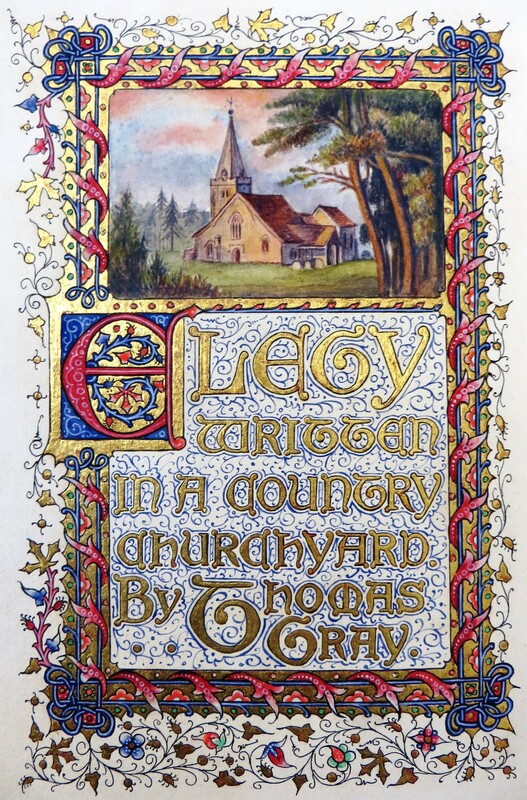 The church depicted here is thought to be the church of St Mary in the village of Nash, near Newport. The European robin (Erithacus rubecula), affectionately known as the robin redbreast for its distinctive colouring, has been strongly associated with Christmas since the mid-19th century. The most common explanation is that the postmen who delivered cards and presents in Victorian Britain wore scarlet uniforms and were nicknamed “robins” or “redbreasts” after the birds. The robin itself was eventually depicted on Christmas cards to represent the postman who delivered them, which is why the bird is so often shown holding an envelope or sitting on a postbox. These illustrations come from our magnificent copy of John Gould’s Birds of Great Britain, published between 1861 and 1873. 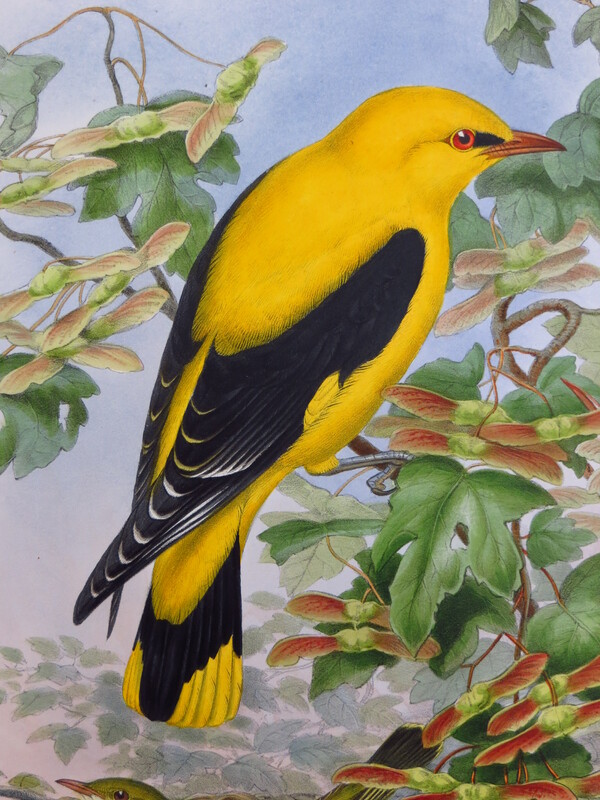 All 367 lithographs in this monumental five-volume work were hand-coloured; in his introduction to the book, Gould writes: “every sky with its varied tints and every feather of each bird were coloured by hand; and when it is considered that nearly two hundred and eighty thousand illustrations in the present work have been so treated, it will most likely cause some astonishment to those who give the subject a thought”. Although the first reports of the use of fireworks for celebrations and festivals in China date back as far as the 7th century, displays of fireworks did not begin to gain popularity in Europe until the mid-17th century. 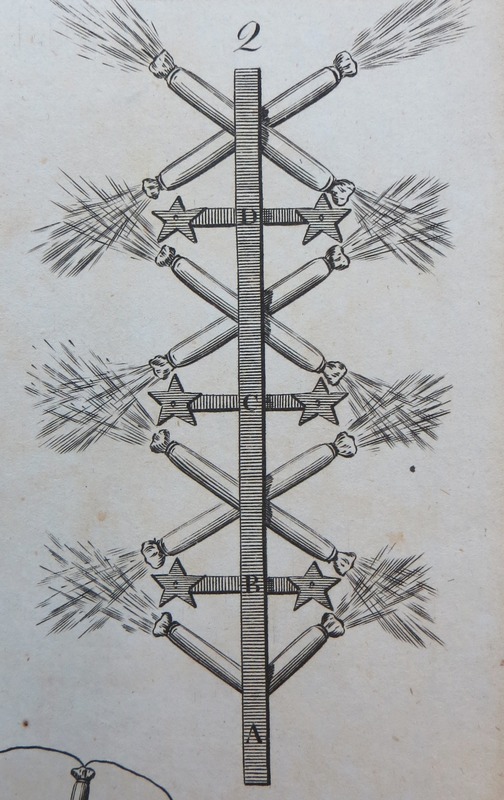 In 1706 Amédée-François Frézier published his Traité des feux d’artice pour le spectacle (“Treatise on Fireworks”), the first work to focus on fireworks for recreational and ceremonial use, rather than military applications. 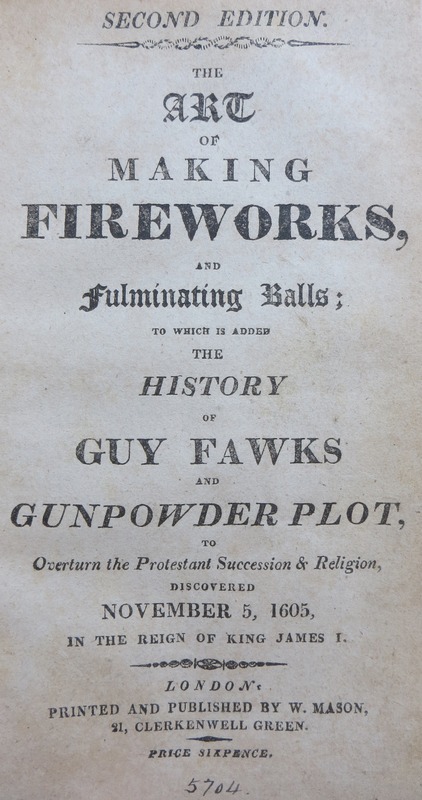 The biggest fireworks festival in Britain is Guy Fawkes Night, originally known as Gunpowder Treason Day, which commemorates the events of 5th November 1605 when Guy Fawkes and his co-conspirators were arrested for placing explosives beneath the Houses of Parliament. As thanksgiving for the failure of the plot, King James I permitted the public to celebrate the day with bonfires and pyrotechnics, a tradition which has now continued in this country for over 400 years. 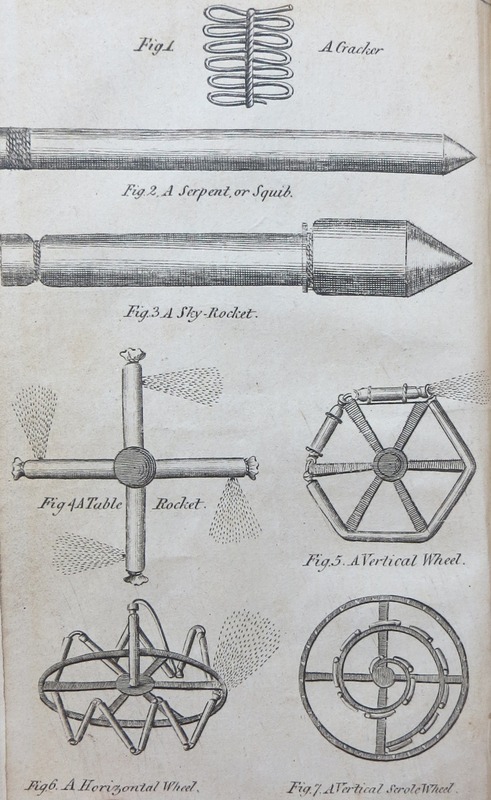 Manuals such as Robert Jones’ A New Treatise on Artificial Fireworks (1765, revised 1776) and The Art of Making Fireworks (revised 1813), both held here in Special Collections, allowed people to create their own fireworks displays. 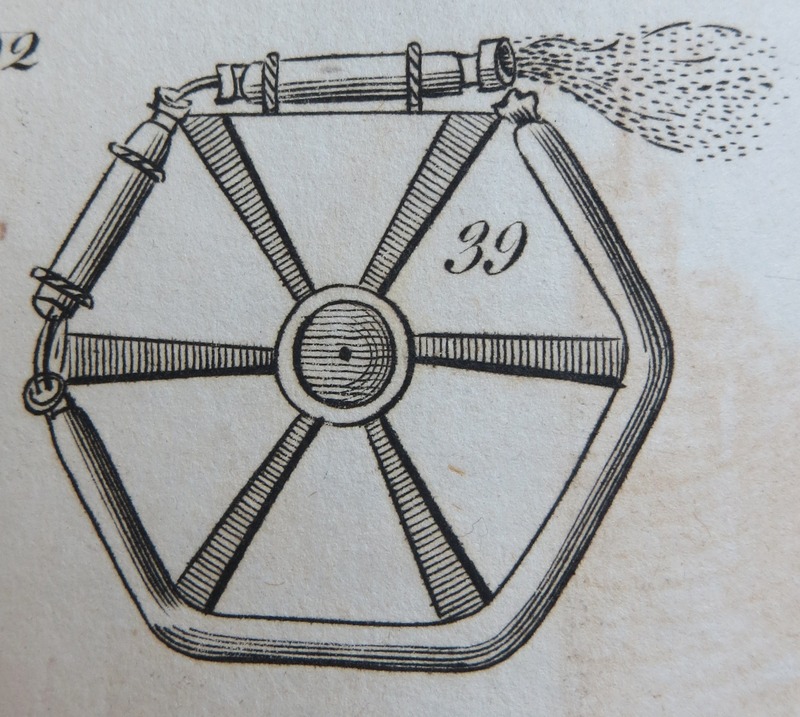 By carefully following the step-by-step instructions for refining salt-petre to produce gunpowder, enterprising readers could fashion their own “sky-rockets”, “flaming stars”, “Chinese fountains”, “fulminating balls” and even “a yew tree of brilliant fire”. They just had to remember, remember to put the candles out first! Some very good advice for the would-be pyrotechnist!